Manways and bottom outlet valves are cleaned on all railcars regardless of wash type specified. A final internal inspection is performed to ensure the customer’s wash instructions are followed correctly. 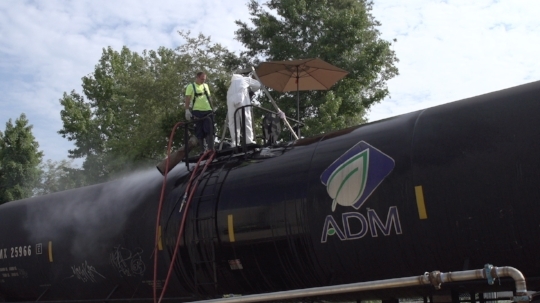 Following the cleaning process, all potential contamination routes of the railcar are sealed, including the manway, dome, and bottom outlet valve. Regardless of your railcar cleaning needs, we offer competitive pricing, commitment to quality, and shortest possible dwell time.